There are many signs you may need to replace your tires. Irregular wear, damage and weathering can all indicate a need for new tires. 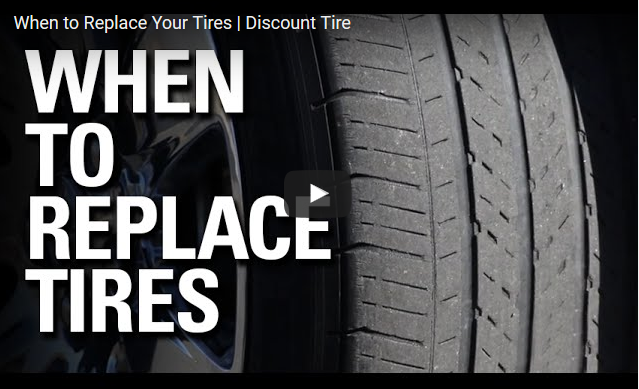 However the most common sign that it's time to replace your tires is low tread depth. Take a look at the video below to see how your car's wet braking performance depends on having sufficient tread depth. This is also a good reference for how to measure tread depth. To see how your tires are measuring up, and to print out your own personal tread depth gauge, follow the link below to our on-line tread depth guide.